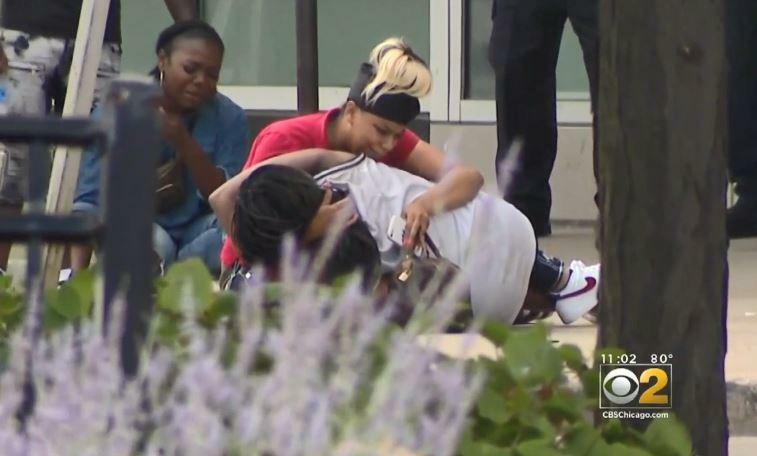 Chicago violence "a state of emergency"
CHICAGO -- Police in Chicago have released the names of the victims killed in a bloody weekend that's left activists and officials calling for change. Twelve people were killed and 54 were wounded in shootings across four neighborhoods on the city's south and west sides, according to CBS Chicago. The violence peaked early Sunday, including one shooting on the city's South Side that wounded eight people. Police on Monday attributed the dozens of shootings to gangs, the illegal flow of guns and sweltering August heat that drew more people outside. No arrests had been made in the wake of the violence. Chicago mayor Rahm Emanuel condemned the violence in a press conference Monday, saying "we have a heavy heart." Both Emanuel and Chicago Police Superintendent Eddie Johnson called for increased accountability for shooters and a broader community effort to decrease violence. Emanuel said he's met with parents who lost their children as well as doctors and nurses who worked over the weekend to save lives. He decried what he called a "shortage of values about what is right, what is wrong" and said anyone who knew the identity of a shooter has a "moral responsibility to speak up." The victims ranged in age from 11 to 63, according to police. One teenage girl died after being shot in the face. A teenage boy was fatally shot riding a bike Sunday afternoon. Other shootings took place at a block party and a funeral. Friday, 7:57 p.m.: Earl Young, 30, was shot in the 7700 block of South Shore and was declared dead at the scene. Saturday, 12:56 a.m.: Joshua Campbell, 22, was shot in the 1700 block of North Mason. He was declared dead at Loyola University Medical Center. Saturday, 2:24 a.m.: Eric Johnson, 22, was shot near 122nd Street and South State. He was declared dead at Roseland Hospital. Sunday, 1:03 a.m.: Kendall Brown, 26, was shot in the 4600 block of South Winchester. He was declared dead at Mt. Sinai hospital. Sunday, 2:34 a.m.: Jahnae Patterson, 17, was among six people shot in the 1300 block of South Millard. She was declared dead at an unidentified location. Sunday, 3:37 a.m.: Kenyate Sparks, 29, was shot in the 1100 block of South Springfield. He was declared dead at Stroger Hospital. Sunday, 4:15 a.m.: Donald Norris, 19, was among four people shot in the 1600 block of North LeClaire. He was pronounced dead at an unidentified location. Sunday, 4:17 a.m.: Kenny Ivory, 17, was shot in the 7600 block of South Union. He was declared dead at University of Chicago Hospital. Sunday, 6:50 a.m.: Charles Green, 32, was among five people shot in the 0-100 block of North LeClaire. He was declared dead at Stroger Hospital. Sunday, 7:50 p.m. Nicholas Cox, 23, was fatally shot in the 2700 block of South Dearborn. Monday 12:02 a.m.: Ron Johnson, 50, was shot near 130th and Drexel. He was declared dead on scene. Speaking on CBSN, Chicago anti-violence advocate Rev. Michael Pfleger said the neighborhoods where most of the violence is taking place are struggling with poverty, underfunded schools and unemployment, and he cited a worsening rift between the police and the community. He urged President Donald Trump to come to the city and send resources to help. "This is a state of emergency," he said.